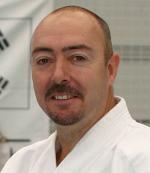 Les Hicks is the World Shim Jang Taekwondo Academy’s Most senior Instructor, he began his Taekwondo career in the late 1970's and in the early 1980’s became a Branch Instructor when he established his first class at Ellalong in the NSW Hunter Valley Region. Grandmaster Hicks then spent the next 20 years developing his craft and accruing a wealth of knowledge by teaching members, guiding future instructors and personally opening over 50 training centres. Les became a professional martial artist in 1988 when he began opening classes in other towns and cities around NSW, he taught up to 12 lessons each week and was one of the first instructors in Australia to introduce and teach Taekwondo at local primary and secondary schools as a part of their regular school sporting program. During this time Grandmaster Hicks established four martial art regions that spanned across two states, during the process he produced hundreds of Black Belts and introduced thousands of people of all ages to the art of Taekwondo. Since his late teen's Les has made the study of Taekwondo his lifelong passion. Only being developed and officially named in 1955, Taekwondo was still a relatively newly developed art in the 1970’s and it is thanks to pioneering instructors like Les that many thousands of students throughout Australia and New Zealand have now had the opportunity to gain the great benefits associated with regular training in the art of Taekwondo. In 2003 Les officially established the World Shimjang Taekwondo Academy and has since seen the academy grow into an international organisation with an excellent reputation. During the following 10 years (2003 – 2013) Les’s leadership took Shim Jang Taekwondo from a fledgling martial art academy with just a handful of members to a world class organisation consisting of a massive network of training centres spread across Australia, New Zealand and internationally, thanks to Grandmaster Hicks’s outstanding dedication, work ethic and perseverance the Shim Jang TKD organisation now boasts multiple Regions led by an amazing group of dedicated Master Instructors that work tirelessly to help make the World Shimjang Taekwondo Academy one of the world’s great Martial Art organisations. With thousands of members, hundreds of Black Belt instructors, a plethora of Senior Instructors and a dedicated group of Master Instructors the World Shimjang Taekwondo Academy is one of this country’s great martial art success stories. It is Les’s commitment and sheer obsession with the art of Shim Jang Taekwondo that is the driving force behind Shim Jang Taekwondo’s outstanding success.